I remember sitting in my classes at University, wondering how I could find exciting work in such a small country like Singapore. I was learning about a world where Superbowl ads are the epitome of advertising, yet they meant very little to me. While inching closer to graduation, I found myself wondering how I could learn more about what agencies are doing within my country and region, and how to use that to my benefit to find a job. I wanted to find a job in the US or London, but work visas are tough seas to navigate. I figured I should give Singapore a shot, and try to understand the local advertising scene better. 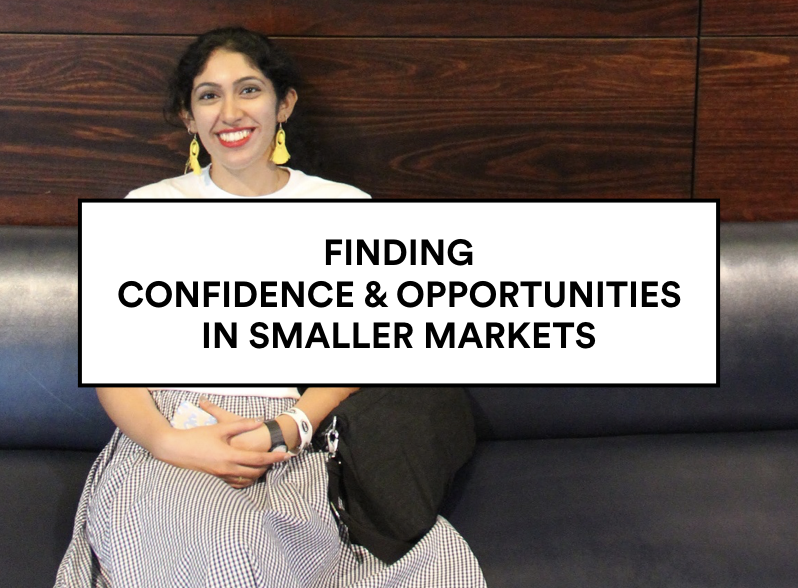 Here are some things I found useful in establishing confidence and finding opportunities in my smaller local market. If you’re still a student, attend award ceremonies on a student ticket.Occasionally, I would receive emails about Marketing Awards for which student tickets were available. I attended two such award ceremonies in my final semester, and this let me sit in on agency presentations and gave me networking time. This helps you understand which agencies work with which clients, and allows you to hear about their campaigns and how they speak about the work they do. It also gives you some time with agency employees to talk to them and express interest in working for them. Attending such events hits a massive sweet spot and can give you a bit of confidence in your market. At the very least, you can walk away with a list of agencies that are doing award-nominated/winning work that you might consider. Read up on local advertising publications. Adweek and Campaign are global industry publications - but both are very US/Europe centric. I found it very interesting to browse through a couple of free copies I managed to get a hold of, and thought it useful in simply learning the names of agencies and knowing what’s out there. It’s easy to know the international agencies, but smaller, independent agencies often escape our knowledge. Local industry publications will be the place to learn about them, and many provide some content for free online - such as MumbrellaAsia, CampaignAsia, and Marketing Interactive (for Asia—Google around to find your own local ones!). Get involved in your interests. I’m interested in art, tech, and design, and therefore tend to spend my free time volunteering at film festivals, art exhibitions, and tech events. Dedicating time to your interests might open up opportunities in natural manner. I spent a whole festival once working with a small team, and at the end learned that one of my fellow volunteers was a Director at an agency and was looking for hires for her team. It was a weird sense of serendipity, but that experience got me an interview with the agency within a week. Sometimes it does come down to timing, and it’s right there for your taking. Be fearless and make use of these moments! You’ll already have something in common when you meet people this way. I know how demoralizing it can be when you know the kind of work you want to do, but feel like you can’t do it where you are right now. But with some proactive investigating on your part, you'll be surprised how much can be found in your local market—even if it's just a step to get you to where you want to go in the future. Connect with Roshni on Twitter.